One Week of Intentflix & Not-So-Chill – Love. Life. Practice. As promised, here’s the update on my personal experiment to do more deliberate viewing of television shows. It’s been a week where I’ve avoided the endless scroll of shows, making sure that when I turned on the TV I knew exactly what I was going to watch, and nothing more. Well, mostly. I’m human, and while I will admit that there were moments when I would scroll through on my way to other things, for the most part I resisted the urge to just click impulsively. There were a few times that I watched something later on that was suggested after watching the planned show, but that almost always worked out well (Peter Dinklage in Rememory is amazing, for example). Nope! That’s the good news. I don’t feel that I missed out on anything, and it was nice to enjoy the tv shows knowing what I was going into. I didn’t ever have that feeling that I was wasting time turning into a couch potato, nor did I ever have that feeling of lost time where you get up from a binge to think about all the other stuff you’ve done (or is that just me?). This, to me, makes this a more appealing and manageable habit change than just “no TV.” Instead it’s more of a shift from consuming to enjoying the media. What Did You Do With the Time? If I was cutting my TV time by as much as 50%, what did I do instead? Well, that’s where this becomes a more mixed bag. On the good side, I did more reading, I did more sketching and drawing, and more personal learning from various online courses. I didn’t have any trouble getting my desired exercise in each day. On the other hand, I discovered that a brain deprived of the TV will rationalize more time on social media – basically substituting one scroll for another. I spent more time on the gravy hose than before, and part of that was the justification that if I was looking at other artists that somehow counted as improving my own art (osmosis, I guess?). So that’s a next step for me: trying to remove the temptation to let the extra time gained from less TV disappear down a social media brainhole. There’s a deeper problem, though. 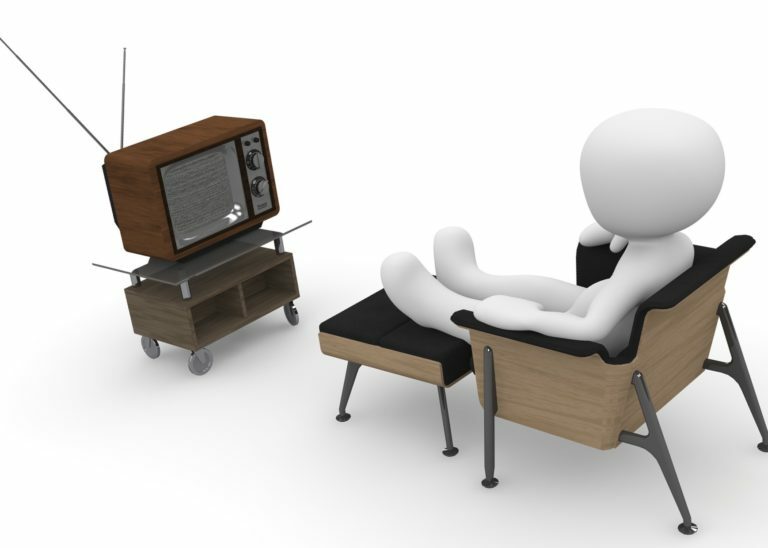 It does not matter how much work I’ve already done on a particular day, it does not matter who I am with or how much I or anyone else tells me I “deserve a break.” No, I’ve long known that I have trouble relaxing – and this intentional TV watching habit feeds into that. The tendency I had this week was not to substitute one form of passive relaxation with a more soul-nourishing form of relaxation. No, instead it was to substitute something that was work-related, or at least productive. It was like a trade-off: watch TV for two hours, spend two hours doing client work, or rearranging a desk, or reading a book on productivity (The Bullet Journal Method by Ryder Carroll, by the way, is excellent) or rearranging my phone to a “more productive” mode. It meant I got a lot done – don’t get me wrong. But it did not recharge my batteries – I was more tired than usual during the week. This means that having taken the easy step (controlling the TV viewing) it’s time to tackle a harder question: what does constructive relaxing look like to me? As usual, I’ll start that by asking, dear reader: What does it look like to you?